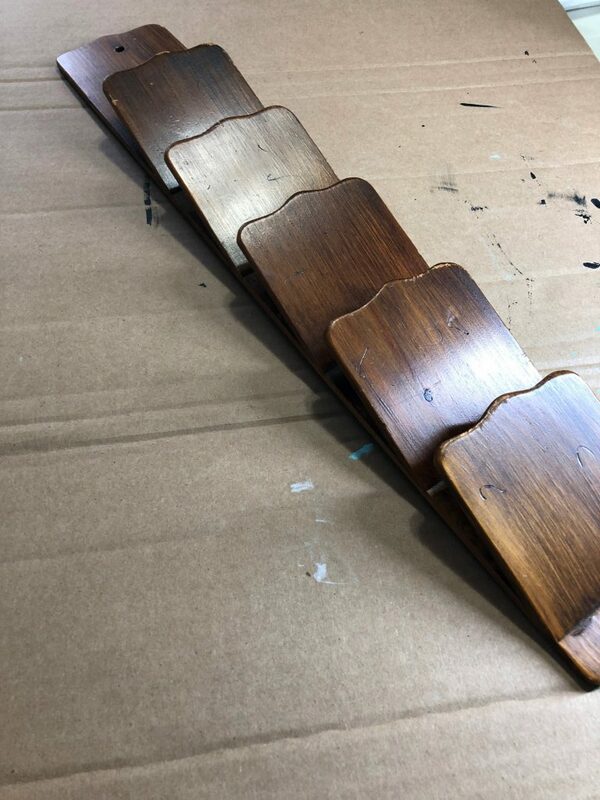 I think that painting will always be the fastest, cheapest, and most impactful way to update a thrift store find. 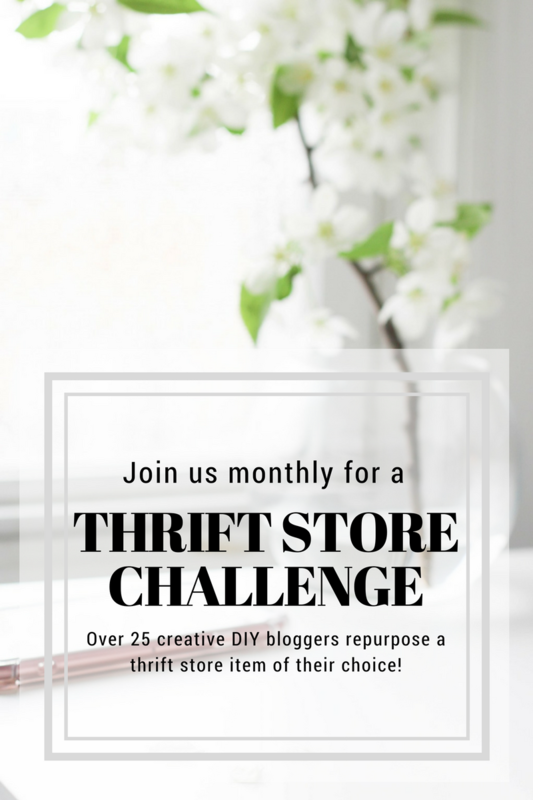 Step 1 – Find a wooden thrift store item to upcycle! This is what I found. A wooden mail sorter? Organizer? Not sure exactly! 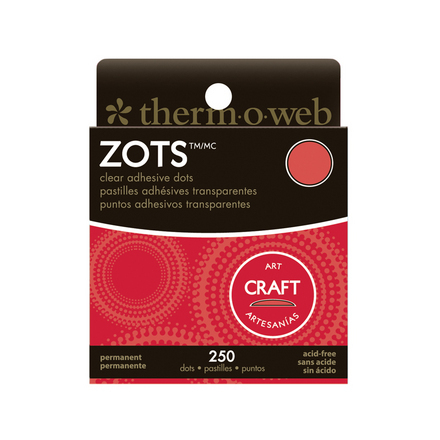 But I thought it would be a good candidate to paint and use as a mail/coupon organizer. Well, whatever it was, it’s getting a makeover. 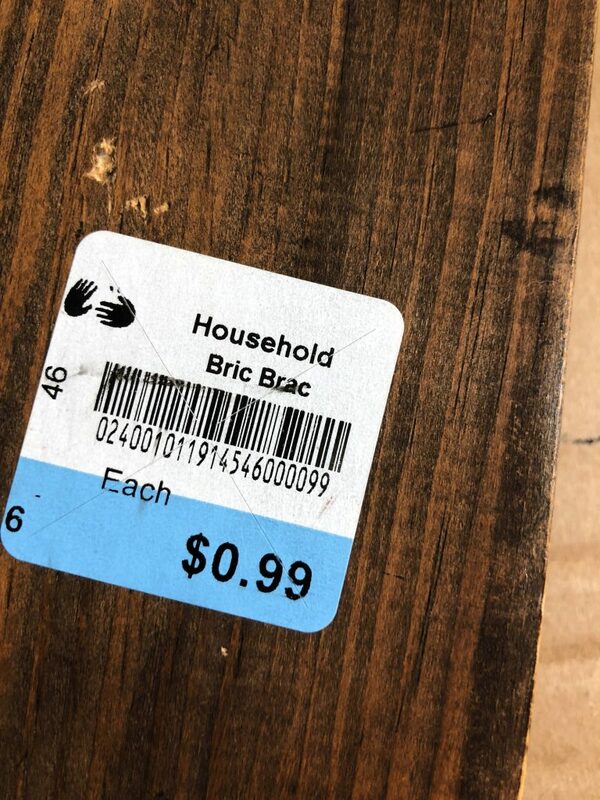 Obviously, the thrift store thought it was Bric Brac -whatever that means! Is it related to knick-knacks??? 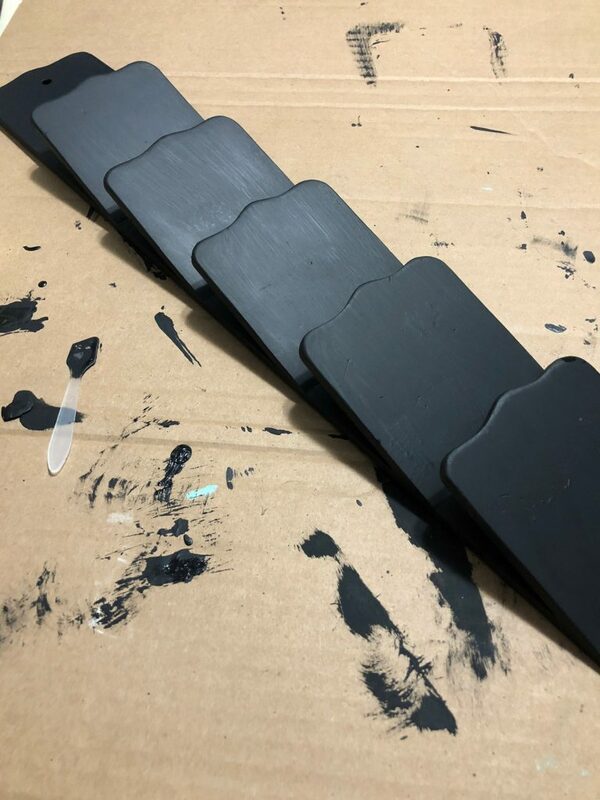 I grabbed a bottle of chalkboard paint and brushed on a couple coats. And it’s looking better already with just two coats of chalkboard paint. 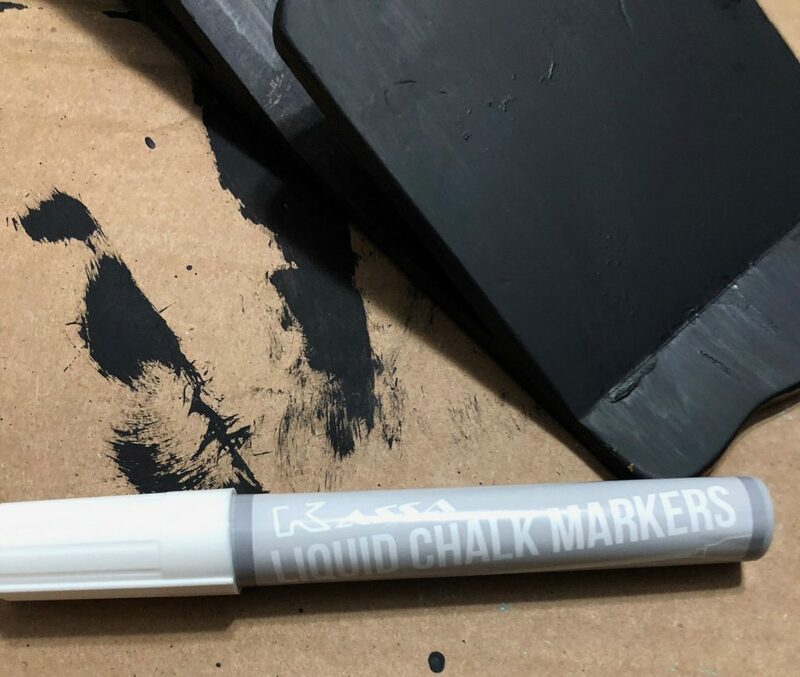 I used a white chalk marker to label each section. Am I the only one who gets to the store and realized that I forgot the coupon book? Every. Single. Time. 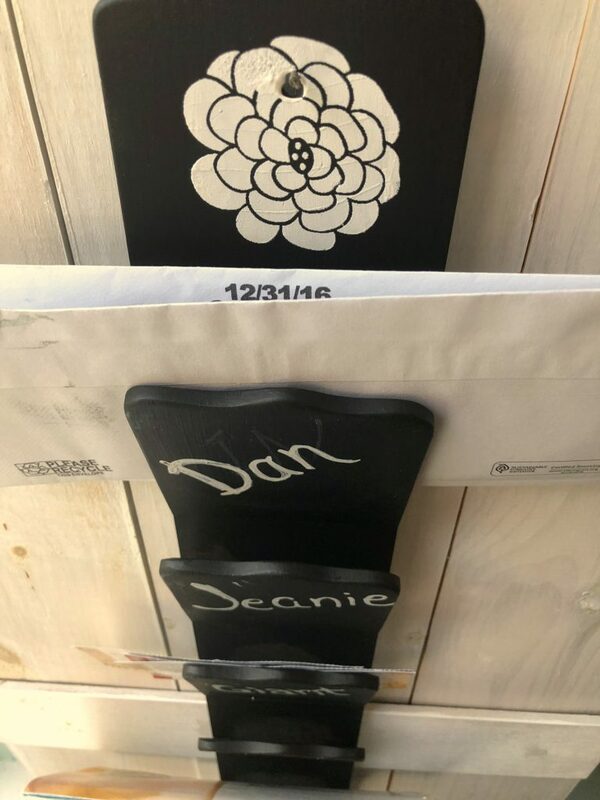 I chose a simple little flower stencil to add a bit of floral whimsy to the top of this mail sorter. 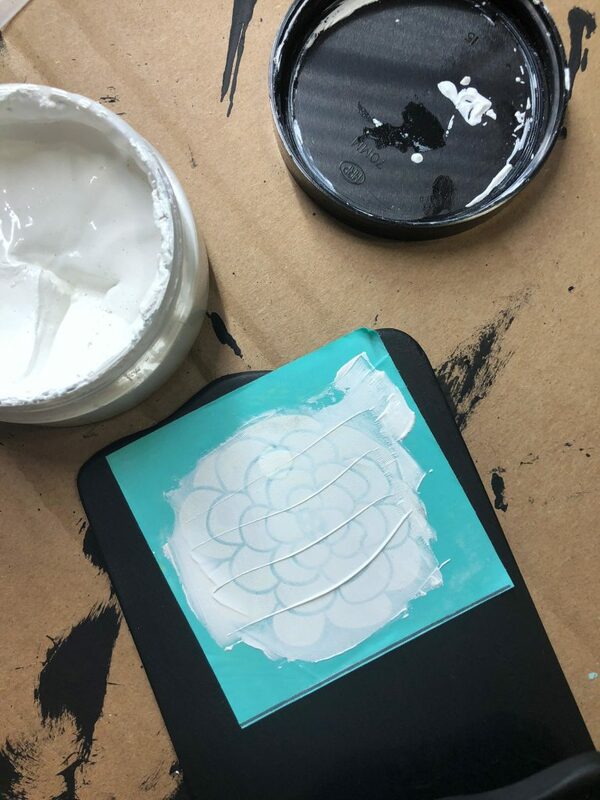 And to keep with the simple look, I used white Chalkology Paste. 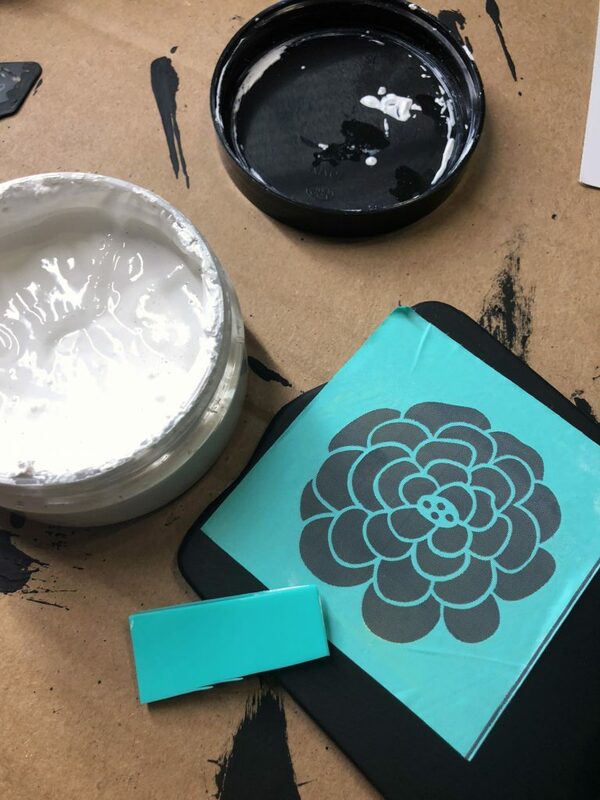 I smoothed it over the silk-screened area of the transfer, removed the excess chalk paste and removed the transfer while the chalk paste was still wet. I gave it a quick shot with my hair dryer to speed up the drying process. I’m so impatient! I couldn’t wait to get it hung up! 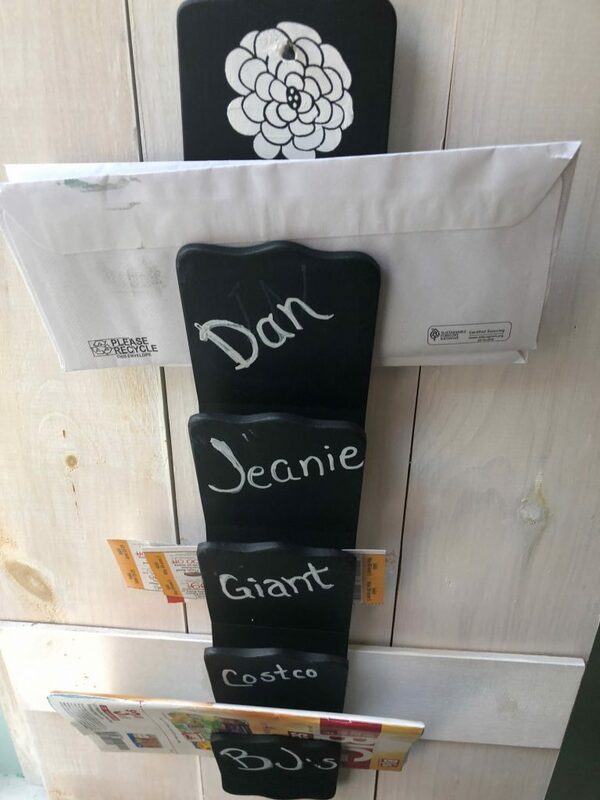 No more forgetting coupons! This looks fantastic, I need something like this so I can see it so it reminds me. I love the flower you added. 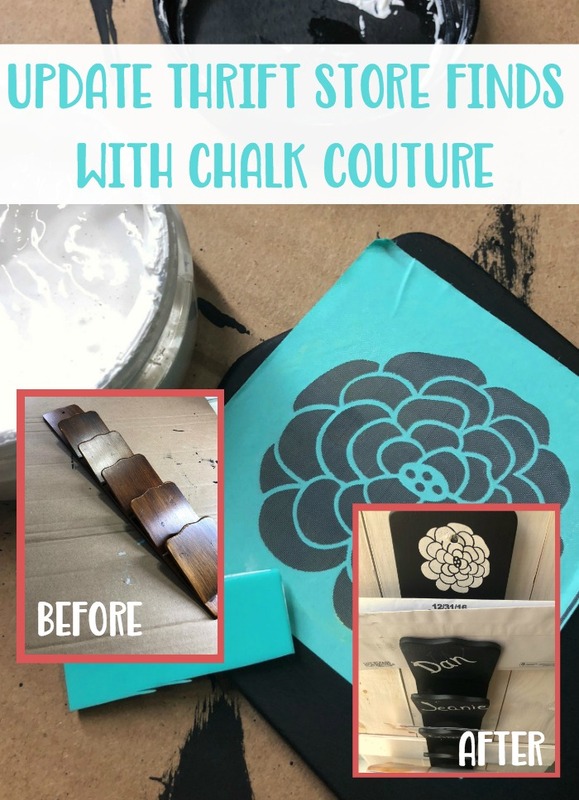 Oh, I love me some chalkboard paint projects! Fun makeover. 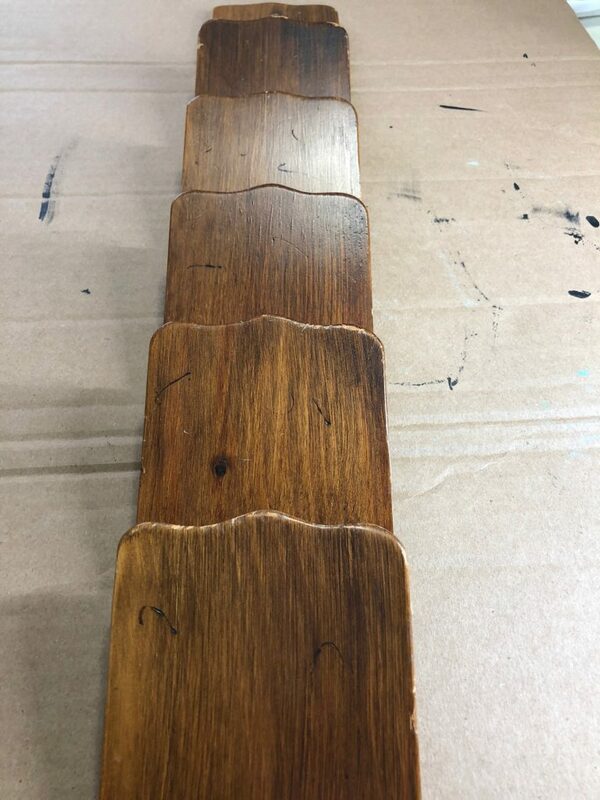 I love all of the treasures that can be found in the wood aisle of the thrift store. 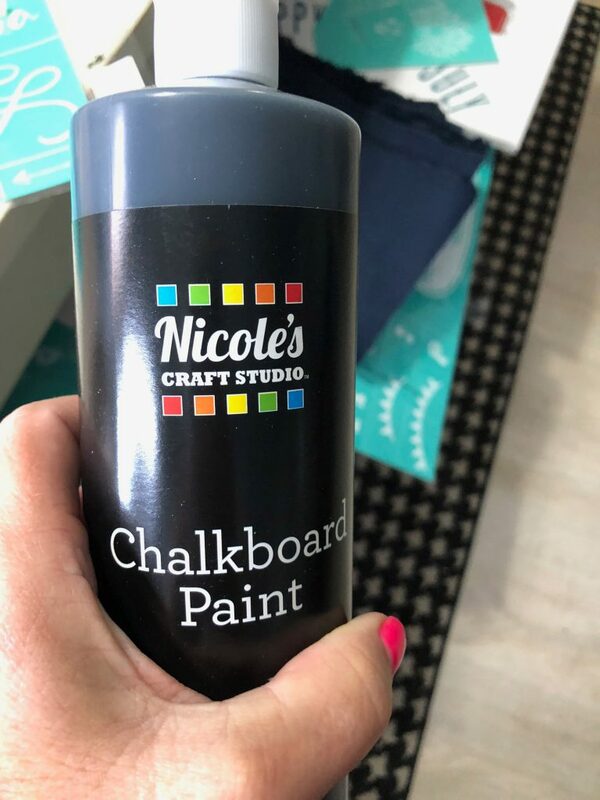 This is a handy little piece made handier with the chalkboard paint. It looks great. This turned out really nice. 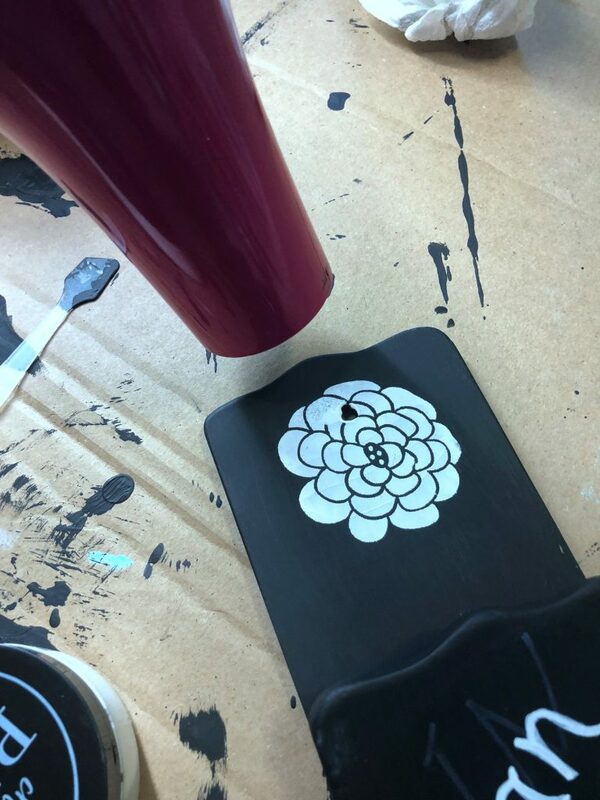 What a difference chalkboard paint and a fun stencil design can make. It is perfect. For .99cents how do you say no? 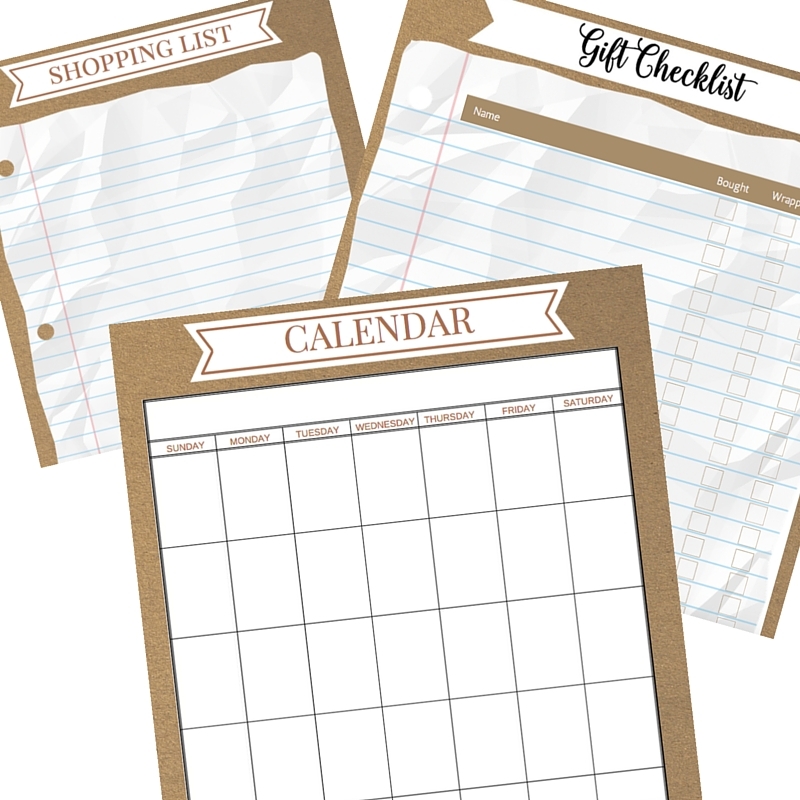 I like the idea of creating a coupon organizer that is in the line-of-sight. I’m constantly — CONSTANTLY — forgetting coupons. Super cute idea! And I see things like this at the thrift store all the time so it would be an easy idea to duplicate.